Caitlin is a recent graduate of The College of New Jersey with a degree in Women’s and Gender Studies. She believes in young women and girls’ ability to change the world, and is thrilled to help provide a platform for women to share their voices. Caitlin hopes to use her degree and her passion to empower women and create positive social and cultural change. She believes in the power of listening to different perspectives and is thrilled to be working with an organization that provides this opportunity to so many young women. 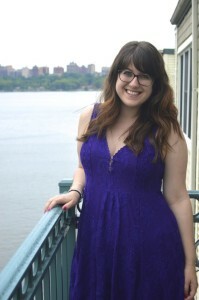 Caitlin began interning for Get Smart in fall 2014 where she predominantly was a blogger, and has now taken on the role of Guest Blog Coordinator. She is thrilled to have the opportunity to reach out to young people and help provide them with a platform to share their stories. Caitlin is incredibly optimistic and excited about Get Smart’s future and is honored to be a part of the journey. Are you interested in guest blogging for Get Smart Mentoring? Message Caitlin directly at caitlinbradley92@gmail.com.